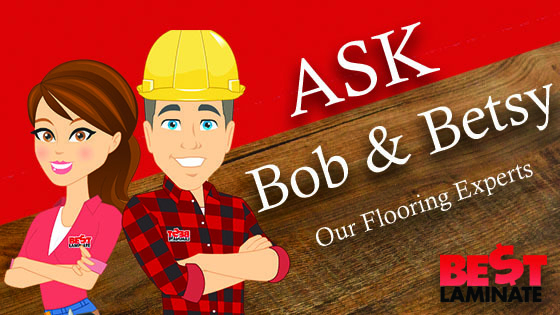 Home >> Ask Bob & Betsy Series >> Are High Gloss Piano Finish Floors Hard to Maintain? I love the samples of the high gloss, piano finish floors in red, grey and black that I ordered. I went on line to get some reviews of others who have used them and I read where you can see every foot print, and speck of dust. I am very OCD and it’d drive me insane to have floors that showed every speck of dust or a dog hair or foot print. Is this a common issue with these floors? When it comes to high gloss, piano finish floors, there will always be some maintenance. Although beautiful, the glossy finish can leave you seeing footprints and dust easily. Here are some tips to consider when choosing a high gloss, piano finish floor. A white high gloss floor will show less dust than a red or black floor due to the light color. A black or dark floor will always attract more dust than lighter floors, no matter the finish. Footprints will also be less noticeable, depending on how the light hits the floor. Another option is a wood grain look. A floor with patterns and color differentiation will hide dirt and dust better than a solid color. 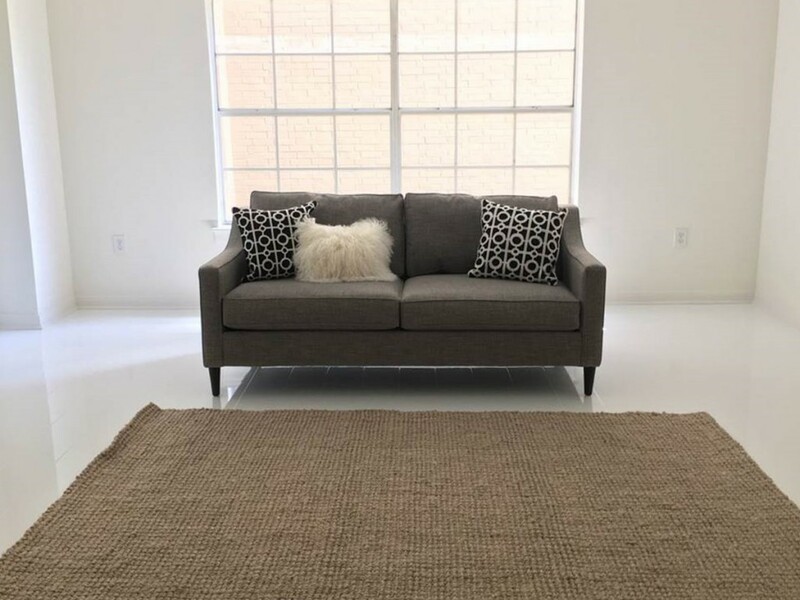 Using rugs throughout your home where high gloss flooring is laid will help to limit foot prints, dirt and dust being noticeable. Keep these in high traffic areas to avoid the most problems! Although these floors may easily show marks, they are very easy to clean! With daily maintenance, whether you use a feather duster or a dry mop, your floors should look spotless and shiny. Spot cleaning areas that see higher foot traffic is also a quick cleaning tip. Order a free sample and test it at home! From finger prints to dust, you can see how it will hold up and clean before you buy. The high gloss finish makes it easy to remove marks, it just takes a little extra dedication to maintain daily. If having a spotless floor is something you’re looking for, high gloss, piano finished floors can take consistent maintenance. It is up to you to decide if the look overshadows the up keep! If you have more questions on high gloss flooring, please give us a call at 1-800-520-0961. What is High Gloss Laminate Flooring? What are the Different Styles of Laminate Flooring? Hi Mike, thanks for your question. We do not ship to Canada, but can work with you to get shipping coordinated. Give us a call at 800-520-0961 to discuss!